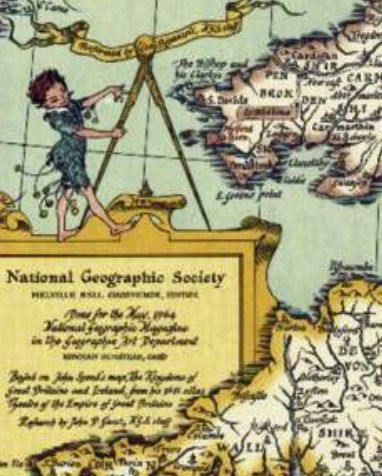 First published for the May, 1964 issue of National Geographic, this map is a one-of-a-kind resource for any true Shakespeare enthusiast. 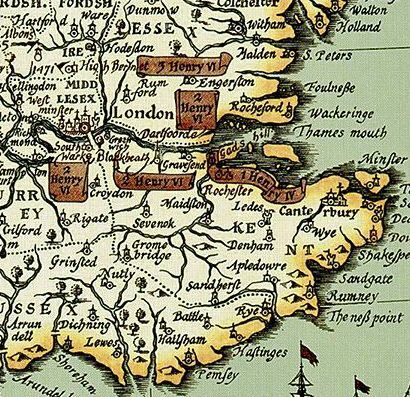 Steeped in the history of the era, Shakespeare's Britain is infused with symbols and icons that show settings of the plays, towns and abbeys, castles, battlefields, forests, and heaths. 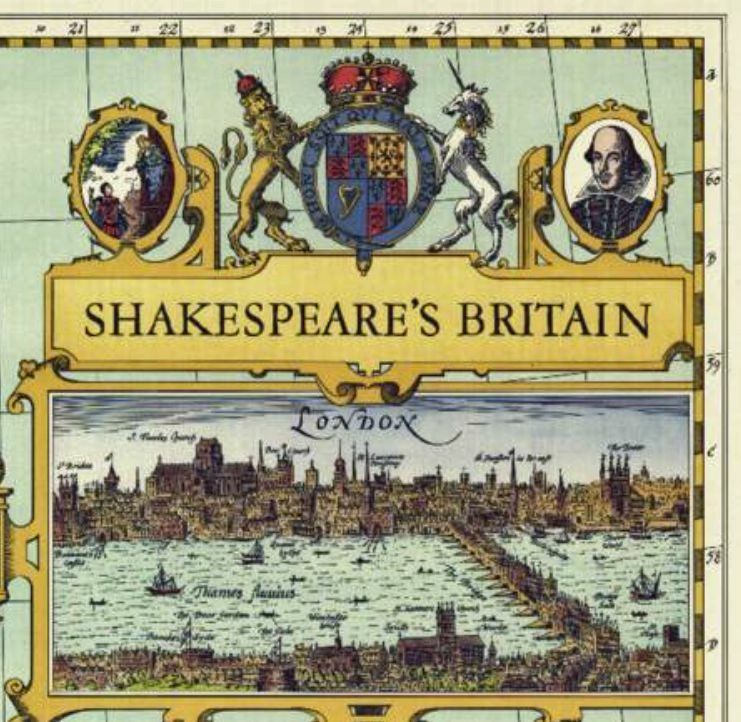 Special insets include a panoramic view of Shakespeare's London and an enlarged map of Stratford on Avon. Also included is a table of Shakespeare's plays with British settings. 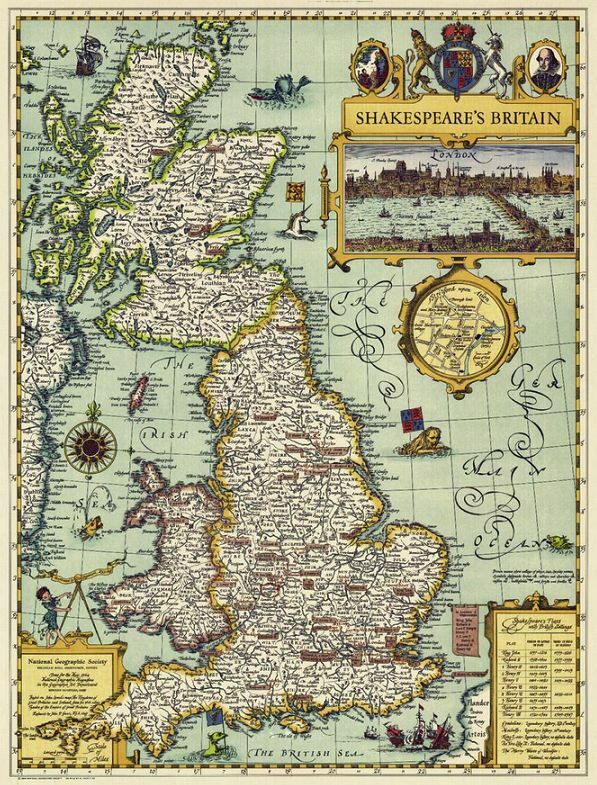 This elegant and delightfully illustrated map of Shakespeare's Britain shows the settings of plays and various points of interest throughout England, Wales, and Scotland. 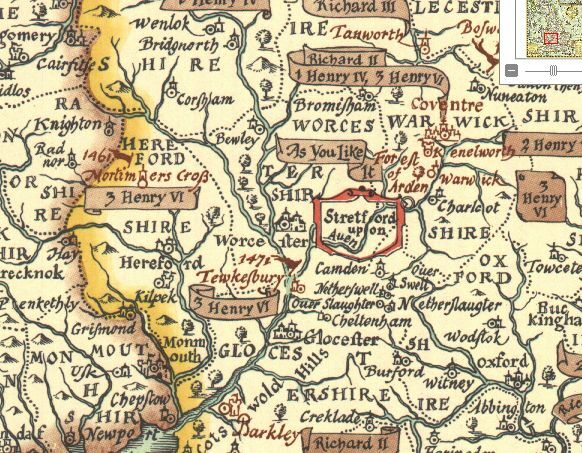 Based on John Speed's map "The Kingdome of Great Britaine" from his 1611 atlas "Theatre of the Empire of Great Britaine."